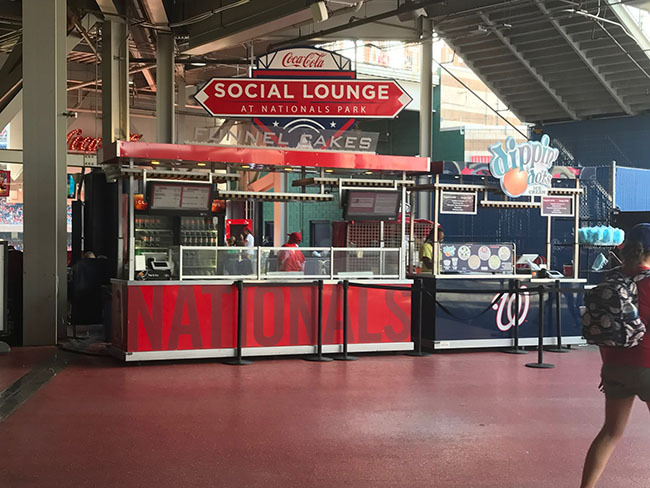 From enjoying great food and drinks to watching your favorite player hit a home run, it's always a good time at Nationals Park. And, with only a handful of home games left in the season, now is the time for a trip to the ballpark to root for the Nats. When you think of baseball, usually summer comes to mind, right? But baseball's regular season actually lasts through late September, and the playoffs run through October. As the weather begins to cool (hopefully soon! 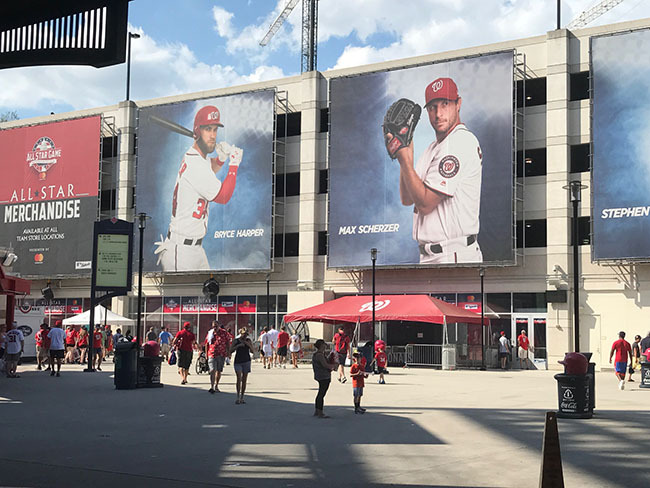 ), now is the perfect time to catch a Nats game at the ballpark. And, there’s plenty of other things to do while you’re there. Sure, you can buy Nationals gear at many retail stores and sporting good shops, but there's nothing like walking into the main team store at center field and seeing all the stuff. Don't want to walk all the way around to center field? There's the Home Plate and New Era stores and plenty of kiosks sprinkled throughout. Starting with ballpark food, you can get hot dogs, hamburgers, chicken tenders, or fries. Want someone else? 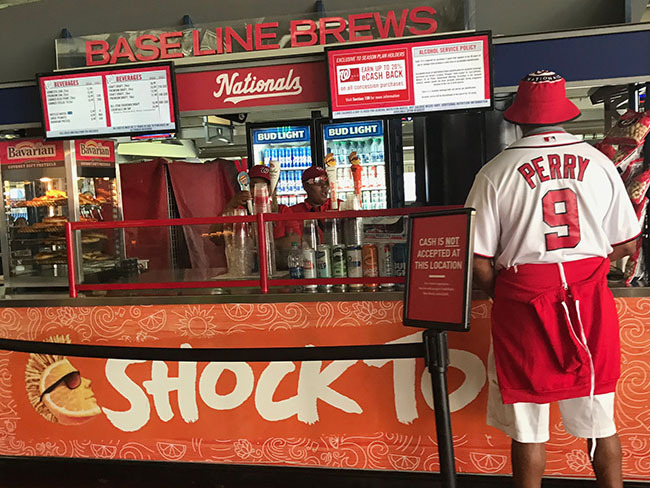 Try the famous Ben's Chili Bowl or Bullpen Burritos. You can even get vegetarian at Field of Greens or grab some gluten-free pizza and hot dogs at the GF stand. For a real meal, check out the jerk chicken and rib combo with red beans and rice at Jammin Island BBQ, or treat yourself to a crabcake sandwich at the Chesapeake Crab Cake Company. Plus, there are many, many more options for every taste bud! Fried dough! Enough said. Check out the funnel cake stand or District Donuts (They're amazing). If you're in the mood for something cold, there’s Breyer's Hand-Scooped Ice Cream, real Italian gelato, and of course, the kid favorite -- Dippin' Dots. And, don’t forget cotton candy, peanuts, or a soft pretzel in the shape of a curly W.
You definitely won't go hungry. For a full list of concessions and their locations in the park, click here. Need a place for kids to burn off some energy? Check out KidZone with a contained play area where kids can climb and slide, or try out the virtual reality booth where you can hit a home run! And, on some Sunday games, the kids run the bases. And, don't forget to sign up for the Jr. Nationals Kids Club! 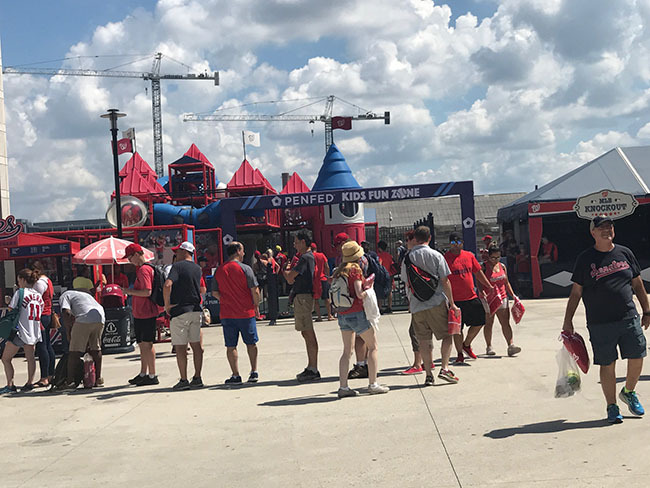 On the second level, on selected dates, live bands perform in front of the Budweiser Terrace. Have a seat and a drink, and listen to some good music before the game starts. All right! ready to sit down and watch some baseball? From the first pitch to the last, it’s always an exciting time. Don’t leave after the third inning, or you’ll miss the president’s race. Will Teddy win again, or will he fall down just before the finish line? Then stand up for the seventh inning stretch and — 1, 2, 3 strikes you're out at the old ball game! It's a good idea not to leave early. I can't tell you how many times we left the park losing, only to come home, turn on the TV, and see a walk-off HR to win the game or go into extra innings. D.C. Too Far to Drive? Camden Yards in Baltimore is home of the Orioles — and famous Boogs BBQ Ribs. Or, check out the minor league teams in our area -- the PNats and Bowie Baysocks! 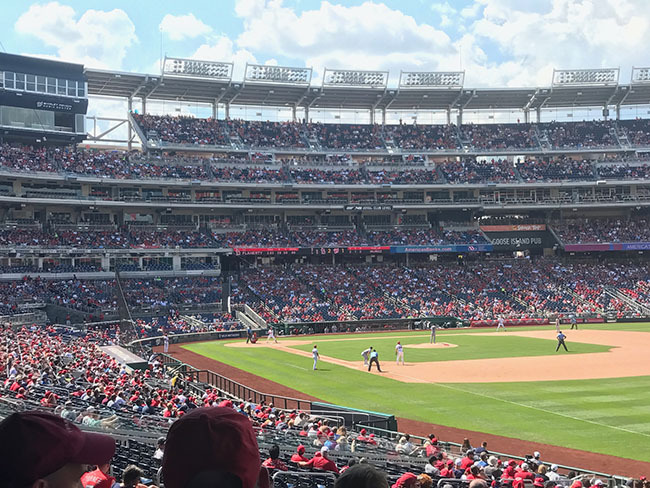 Whether you're a die-hard baseball fan, like to go for the fan promotions, like bobble-heads and hoodies, or just want a fun day out, check out a baseball game at Nationals Park. You'll have a blast! 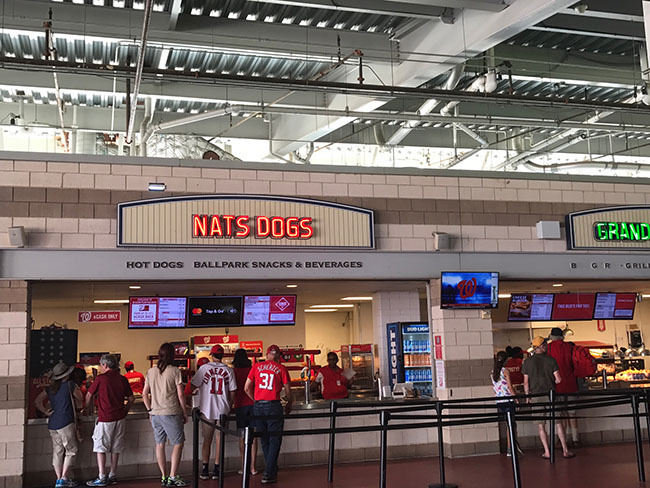 What's your favorite part about going to a Nats game? What do you like most about Nationals Park? Tell us in the comments below. Cancel your Sunday plans .... It's time for Redskins football!